Since September 2013 when the HSE ceased to regulate the first aid industry, employers now face the additional task of carrying out due diligence to ensure their first aid provider is trustworthy and reliable. At First Aid abc we recognise that good first aid training can be a matter of life and death, therefore we always ensure best practice. Our trainers are registered health professionals, they regularly update their qualifications and carry out ongoing performance monitoring and professional development. Dee Bell is the main trainer for First Aid abc. She is a Midwife Registered with the Nursing and Midwifery Council and has been working in a hospital setting for 16 years. She completed her Paediatric First Aid Instructors course with a.i.d Training and Operations Ltd in 2012. She holds a Nursery and Midwifery Mentorship qualification in training and assessing. Up until 2015 she was a Specialist Midwife at Western Sussex Hospital Trust with the responsibility of delivering UNICEF BFI training to medical staff trust wide. Dee has trained with UNICEF on ‘Train the Trainer’, ‘Audit’ and ‘Feeding Management’ courses. In addition to the above, Dee is also an International Board Certified Lactation Consultant. 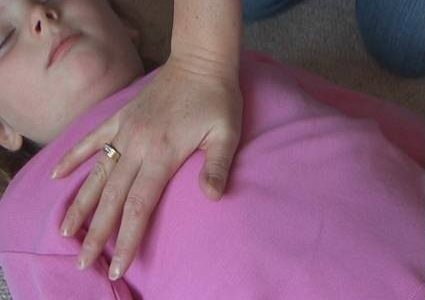 First Aid abc trainers maintain continued professional development (CPD) requirements. They hold assessing/verifying qualifications and are externally assessed on teaching and assessing on a yearly basis. All course participants are asked to provide feedback on evaluation forms at the end of our courses. These are collated and reviewed by First Aid abc with a view to continuously improving quality. We welcome your feedback. The paediatric first aid course syllabus is taken from the relevant guidelines of UK Resuscitation Council & VAC’s. Our teaching staff’s knowledge is kept up to date with regular CPD and yearly training provided by a Consultant Resuscitation Officer. At First Aid abc we want to ensure we are specifically meeting Ofsted’s recommendations for an appropriate First Aid Certificate. Here are the Ofsted recommendations and how we deliver on them. First Aid abc teaches first aid courses specifically designed to equip staff with the practical skills and knowledge they need to feel confident as a first responder should an emergency arise in a childcare setting. Our trainers are specifically trained in providing care for babies, children and young adults. The certificate should be appropriate to the nature of the childcare being provided. For example, particular types of activities may need specific additional first aid training. Courses will cover ‘core’ requirements as indicated by EYFS and Ofsted guidelines. Additional topics to be covered can be arranged in consultation with First Aid abc. We hold records of all attendees and will send the nursery a reminder prior to the expiry of your certificate. Groups are kept small in order to ensure a high quality learning environment. We offer a traditional two day face-to-face training course to ensure the highest standards are met with lots of time for practical training. Alternatively, a one day course with additional e-learning prior to the taught day is also available. 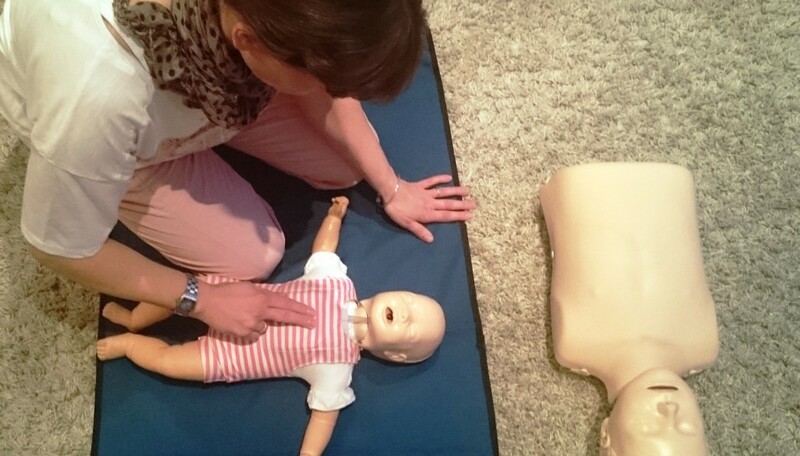 All our workshops include extensive use of adult, junior and baby manikins, all specifically designed to replicate real resuscitation scenarios. Appropriate first aid kits are demonstrated and a list of contents provided along with instructions for use. Particular care and attention is given to ensuring staff are aware of their roles and responsibilities regarding record keeping.